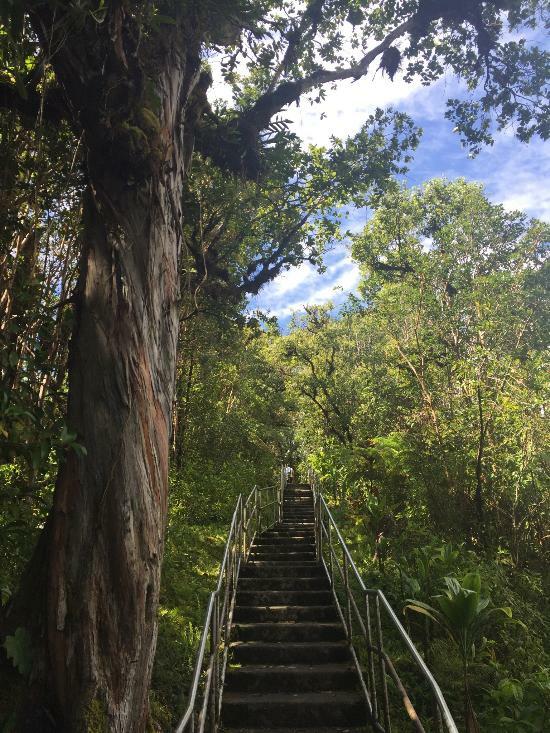 If you are staying in Hilo and are looking to visit a waterfall, this is the perfect destination! Akaka Falls State Park is located 11 miles north of Hilo along the old Mamalahoa highway. 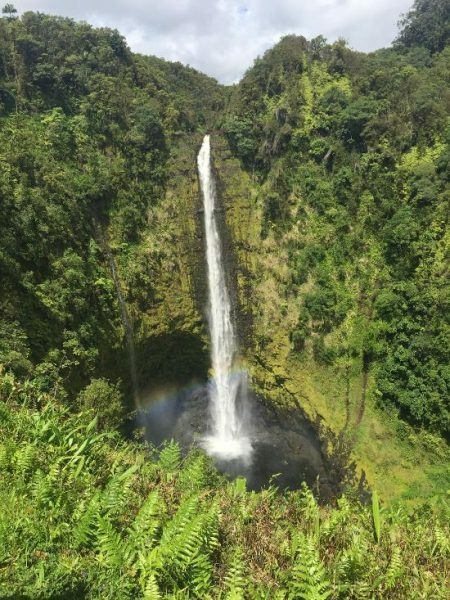 This 422 foot waterfall is absolutely stunning and certainly worth the drive up the slopes of Mauna Kea’s east side. Once you arrive it is a $1.00 parking fee, that is easily worth the journey. The path to the waterfall contains a half mile loop trail that is paved and has handrails. 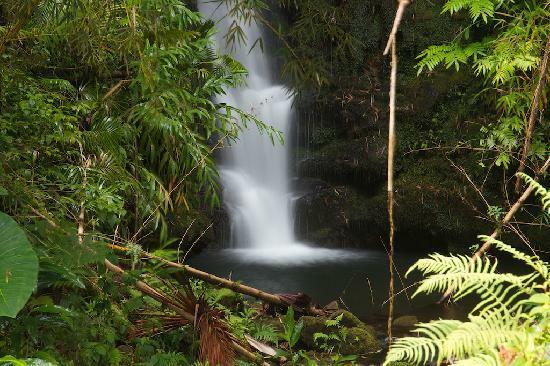 You will walk through rain forest and over streams before arriving at this magnificent water feature. Kahūnā Falls is located just down stream from Akaka Falls and is just as picturesque. Because it is in the rainforest, be prepared for rain, for it does rain quite often at this destination. There are restrooms located next to the parking lot.